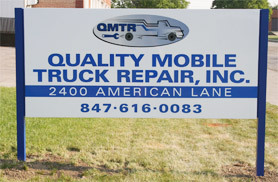 Quality Mobile Truck Repair Inc. Complete Individual & Fleet Truck Service With Extensive Inventory On Site! 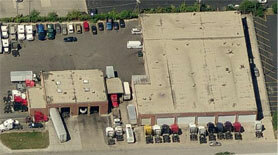 Quality Mobile Truck Repair, Inc. offers full service for maintenance and repair on commercial trucks. General maintenance and preventative maintenance are provided by Quality Mobile Truck Repair. We supply transmission and differential servicing, suspension servicing, driveline work and electronic engine diagnostics, and much more. Even air conditioner repair is covered by our highly trained technicians. 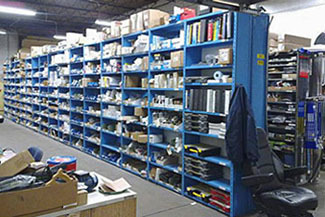 Quality Mobile Truck Repair boasts an extensive on-site warehouse, ensuring that high-quality, original parts are readily available. With our resources, we are able to complete most repairs within 24 hours. For all types of maintenance and repair work for your commercial truck or fleet, Quality Mobile Truck Repairs, Inc. can be trusted to supply complete bumper to bumper coverage. We do brake jobs, welding, transmission repairs, driveline repairs and much more. Need to schedule some repair work? Call or email us now to set it up. With our extensive parts inventory on site, you can almost always be sure that your repair can be done within 48 hours*. *48 Hours are based on common trucks like Freightliner, Volvo, etc. If your repair can't be done within that period of time, our service representative will contact you with further details.